This rare over-sized two story lake house with amazing views could be a duplex because it has with two separate entrances and kitchens. Nestled in a cove on Lake Travis, it offers amazing views and a gentle slope to the water, great for fishing, swimming and a boat dock. Additional features include a large spacious master suite, two secondary bedrooms, large living, formal dining, and gourmet kitchen. Downstairs-main level features an additional kitchen, living, dining, bunk room, secondary bedroom and bath. 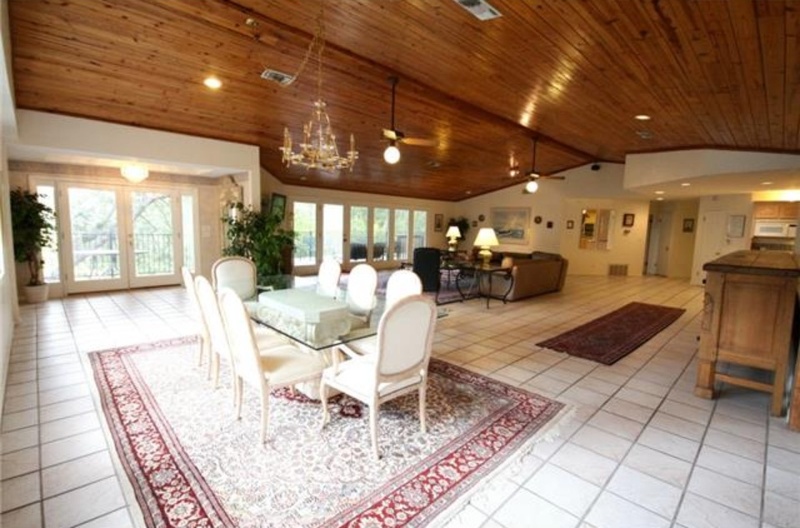 Perfect for business executives or In-laws retreat. Enjoy this quiet property with stunning canyon/lake views on the multiple expansive covered patio and deck. Lots of storage and includes a three car garage.